We found a gorgeous wedding dress in H&M – and then we found two more! Which of these high street wedding dresses is your favourite? I was looking for something entirely different when I stumbled across this wedding dress. It was there in the middle of all the other dresses but being all wedding-y. It looks just like a ‘traditional’ wedding dress but with one big difference – the price. 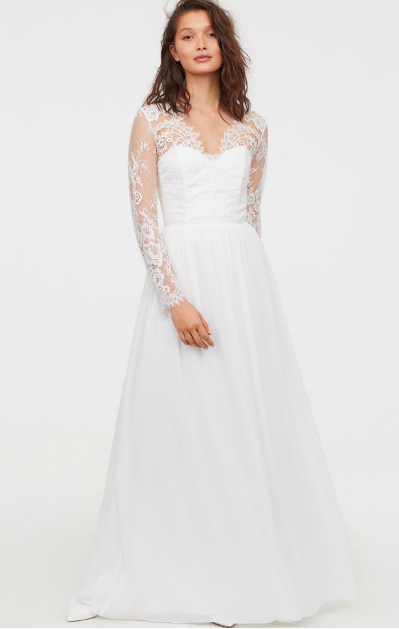 This wedding dress from H&M costs only €159. There’s something of the Kate Middleton about this dress. We would make sure the sleeves were totally fitted and we’d maybe tie a bridal belt at the waist, but there’s no reason why this isn’t a viable option for any bride-to-be. It may not suit all tastes, is the thing. 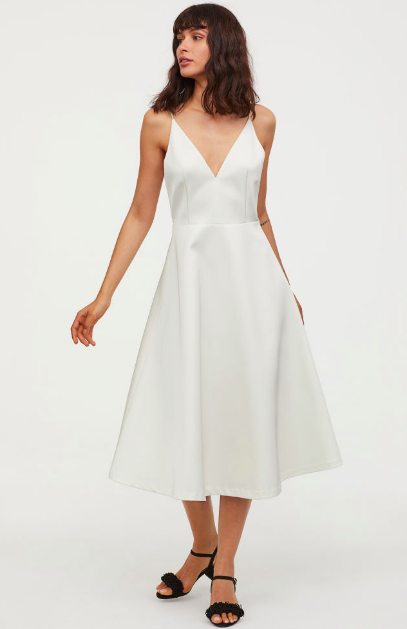 So, luckily H&M has two brand new wedding dress styles in its collection. Here’s the first. It’s again a simple design but that will suit a good many brides. I love the lace detailing, but, again, a belt at the waist might give it more of an edge. When you buy a dress on the high street, don’t forget you can still add and subtract and you can get it fitted so it’s exactly to your measurements. The next dress from the collection is flouncier, with flattering Bardot-style sleeves. It’s that bit more princess-like, if that’s your style, but doesn’t look actually comfortable, too? They all do, come to think of it. 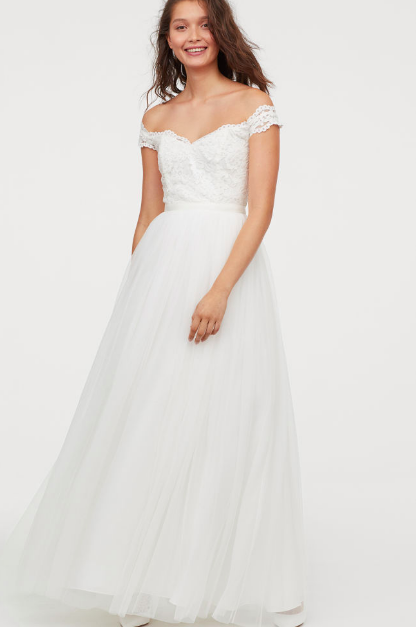 The prices of these high street wedding dresses are second to none. But – bonus! – I spied one more dress that’s only €60. I think it would be gorgeous on a low-key bride, many one who is having an urban ‘City Hall’ style wedding. It would also be lovely for the second day events, or on a classy hen. Would you ever dream of buying your wedding dress on the high street?